Very few health-related topics have received as much media attention or been the subject of as much conversation as fish oil. Since the 1970s, when researchers discovered that people who eat more fish oil were much less likely to encounter cardiovascular problems, debate has raged about its overall effectiveness. Although no authority has taken the stand that fish oil is unhealthy, many have criticized the enthusiastic tone of its ardent supporters, warning that it could well be overhyped as a panacea. But, the latest study—one of the most comprehensive studies to date—has indicated that fish oil’s benefits are more than just wishful thinking. The study’s data show that eating fish or taking omega-3 supplements really does play an effective role in keeping heart disease at bay. Researchers also found that some omega-3s are more effective than others, and that fish oil holds even more value for an assortment of health problems. 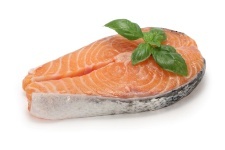 According to researchers, there is clear evidence that omega-3s have value in shielding the heart from problems. However, the study did not provide a definitive answer to the question of whether omega-3 is beneficial to those who have already had a heart issue. The problems in determining an answer to that question are related to the fact that most people who have had a serious incident related to their heart are also taking at least one prescription drug, which can skew the results of any study. Still, the study—performed at the Linus Pauling Institute at the Oregon State University—also backs up the now-widespread belief that omega-3s also help improve vision, boost cognitive function, reduce inflammation, lower risk of dementia, reduce risk of some cancers, and increase life expectancy. The study recommends that consuming 200 to 300 milligrams of the omega-3s EPA and DHA per day will yield maximum disease protection. “Analysis of Conflicting Fish Oil Studies Finds That Omega-3 Fatty Acids Still Matter,” Journal of Lipid Research, November 28, 2012.